Barack Obama's election as the first African American president seemed to usher in a new era, and he took office in 2009 with great expectations. But by his second term, Republicans controlled Congress, and, after the 2016 presidential election, Obama's legacy and the health of the Democratic Party itself appeared in doubt. 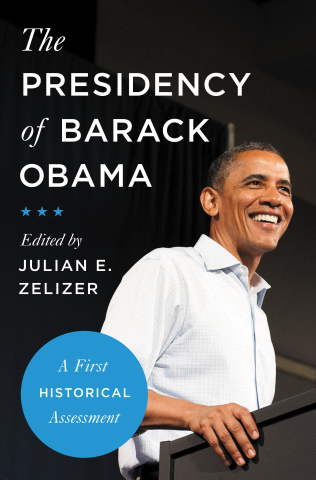 In The Presidency of Barack Obama, Julian Zelizer gathers leading American historians to put President Obama and his administration into political and historical context. These writers offer strikingly original assessments of the big issues that shaped the Obama years, including the conservative backlash, race, the financial crisis, health care, crime, drugs, counterterrorism, Iraq and Afghanistan, the environment, immigration, education, gay rights, and urban policy. Together, these essays suggest that Obama's central paradox is that, despite effective policymaking, he failed to receive credit for his many achievements and wasn't a party builder. Provocatively, they ask why Obama didn't unite Democrats and progressive activists to fight the conservative counter-tide as it grew stronger. Julian E. Zelizer is the Malcolm Stevenson Forbes, Class of 1941 Professor of History and Public Affairs at Princeton University and a CNN Political Analyst. He is the author and editor of eighteen books on American political history, has written hundreds of op-eds, and appears regularly on television as a news commentator.